Posted Jul 24, 2018 by Eds. The term constitution comes from the Latin word constiture, which means foundation, the establishment of something, its origin–although consensus on the word’s full significance does not exist. The constitution is the state in its concrete political existence. The state is the constitution. The constitution is its soul, its concrete life, and individual existence. Constitutional history requires the support of history in general, which serves as its base and guide. The term history, along with constitutional, indicates fully the historical sense that the process and transformation of institutional policies–and a people’s successive constitutions–must possess. Thus, to understand many constitutional situations of the past, we must situate ourselves correctly in the historical conditions of the time, which serve as the backdrop to these political and constitutional events. The present, at all times, requires an understanding of its past, of the antecedents that generated it and even the stimuli that could provoke reactions to its nature. Addressing origins requires a reference to the Carta Magna of 1215, signed by the John Lackland, King of England, and the bishops and barons of England, to which were added the Petition of Right in 1628, habeas corpus in 1679, and the Bill of Rights in 1689. However, the Mexican constitution established February 5, 1917, must be emphasized as a turning point in constitutional history. Given the many injustices and extreme social inequality generated by the liberal state at that time, Mexico charted a new course–moving away from a liberal, individualistic foundation to a social viewpoint–establishing social justice as the center of constitutional order in this text. Cuban constitutional law, alongside the nation’s historical development, can be described in three basic stages, with the colonial first. This era was marked by the formal implementation on the island of four Spanish constitutions, and the emergence of several constitutional projects, born of the political concerns of the emerging Cuban oligarchy, among which stand out those ofJosé Agustín Caballero (1811) and Joaquín Infante (1812). Also included in this stage are the four constitutional texts drafted during the wars of independence, which governed territories occupied by the Liberation Army: those of Guáimaro (1869), Baraguá (1878), Jimaguayú (1895), and Yaya (1897). Expressed in these are the origins of Cuban constitutional law and they represent the radicalization of political thought. These documents reflect the process of formation of Cuba’s national identity, while the war itself, as Cintio Vitier said, served as the “crucible of races and classes,” to produce the core of the Cuban nation. The second stage of our constitutional history includes the first half of the 20th century, with the emergence of bourgeois-liberal constitutions characterized by the country’s limited sovereignty, its political subjugation and economic dependence. Produced in this period were the constitutions of 1901 and 1940. The third stage is that of revolutionary socialism, which began with the Foundational Law of February 7, 1959, and the Constitution of February 24, 1976. Both texts were, at their times, expressions of the revolutionary process and the constant search for greater social justice for the entire people, marked by firm, intransigent defense of the country’s independence and sovereignty. 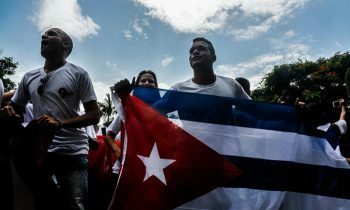 In this brief summary of the three stages of Cuba’s constitutional history, details surrounding some of these moments must be emphasized, given their importance and current relevance. The Constitution of Guáimaro is the original mother lode of Cuban constitutional history, and maintains its relevance today. The founders of Cuba’s constitutional order in Guáimaro were influenced by international events: the independence of the 13 British colonies in North America; the French Revolution, and the theoretical developments of the Enlightenment; and lastly the deep mistrust of one-man rule that was becoming common in emerging Latin American nations. Once the armed conflict ended in 1868, attention shifted to the Constituent Assembly of 1901. First to be noted is who was able to participate in this gathering, which took place in Havana’s Martí Theater. Restrictions on the right to vote were adopted by U.S. intervention authorities to guarantee their interests and convenience, allowing only those who could show economic solvency, and knew how to read and write, to participate. Thus the majority of the people, poor Black and white citizens, were excluded from the constitutional process, regardless of the merits they demonstrated during the wars of independence. Nevertheless, some important figures from the liberation struggle participated in the Constituent Assembly, including Juan Gualberto Gómez, Manuel Sanguily, and Salvador Cisneros Betancourt, among others. The Platt Amendment would be the U.S. government’s great betrayal, a dagger to the heart of the emerging nation, accepted under the threat of a permanent occupation. Thus, in this reality and under pressure, the Constitution of 1901 was approved. Another blow to constitutional order would be dealt by Gerardo Machado y Morales, who in his dictatorial desire to remain in office dragged the country into a process of extending terms, which, along with crimes that characterized his unfortunate occupation of the nation’s highest leadership position, became the detonator of the revolutionary movement of the 1930s. The Constitution of 1940 is the product of this struggle and represented a milestone not only in the legal sense, but politically as well. No one doubts that the Constitution of 1940 was a good text, both in terms of its legal language and as a reflection of the nation’s most important aspirations at this historical moment. There are two aspects of its drafting that merit special attention. Although the debates were broadcast live on radio, the text was never submitted to the consideration of the people, who did not have the opportunity to study it before it was approved, express opinions on the content, or propose modifications. No formal referendum was held, again limiting Cubans’ right to express their approval or disapproval of the document via a direct, free, secret ballot vote. While the 1940 Constitution had its merits, from the point of view of effective participation of the people, it cannot be considered exemplary in terms of the exercise of democratic rights. Similarly, the socio-economic advances it proposed never became a reality in the life of the country, since those in power never exhibited the will to take on this challenge. Thus, in the 11 years this constitution was in effect, it became an expression of the formula well known under colonialism as law that “governs” but is ignored. Another question thus emerges: What is more democratic, what reflects effective exercise of democratic rights and empowerment? A process in which individuals are elected to write and approve a constitution, without listening to anyone else? Or on the contrary, one that puts a constitutional proposal developed by legitimately elected representatives into the hands of the people, to express their opinions, make modifications, advocate interests, request clarifications, etc. (which are all, without distinction, studied, analyzed, and considered by the standing committee charged with drafting the text) and once the proposal is again discussed and approved by the National Assembly, it is submitted to a referendum in which every elector expresses his or her position via a secret ballot vote? The process of drafting the Constitution of 1976, just like the one currently underway, has the advantage of being based on popular consultation, a genuine expression of direct participation by the people in the exercise of power, with the entire nation becoming a constituent body with the opportunity to study, make proposals, request explanations of the text under consideration. Unlike other countries, this is not the exclusive right of a limited group of persons meeting in a Constituent Assembly, who, despite their election by the people are only allowed to offer opinions. Noteworthy in these processes is the fact that representatives of organizations and political interests have access to the Constituent Assembly, and ensure that their needs take precedence over any popular interest, as the text is written. With all due respect to the structures and procedures that each country establishes in this arena, Cubans have conceived our methods with the clear intention that the people must play an effective leading role in the drafting of the Constitution. A few numbers from the popular discussion of the 1976 Constitution are relevant. Some 6,216,981 persons participated in this popular discussion, contributing 12,883 modifications, 2,343 additions, 1,022 proposals, and 84 clarifications. 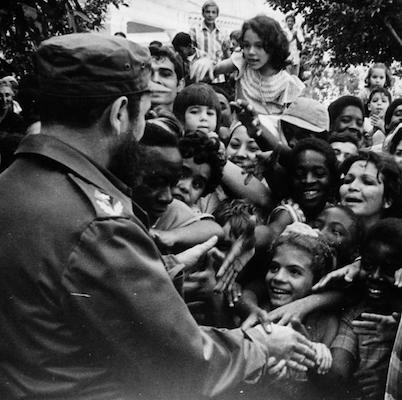 In the exercise of its sovereignty and independence, Cuba has defended a democracy in which decisions are made collectively and adopted by majority rule, with the direct and indirect participation of the greatest portion of its citizens. Considering that one of the fundamental concepts of democracy is that decisions are made based on a broad consensus among those who will be affected, the greatest consensus possible is expressed by a majority supporting what is proposed. Two essential elements provide an overarching guide to the constituent process, in terms of its democracy. The first being that the people who hold sovereign power have the opportunity to express themselves, and that their ideas about the proposed Constitution are taken into consideration, in a direct fashion, by consultation or popular discussion, and via their legitimately elected representatives. Second is the people’s right to express their approval or disapproval of the proposal, voting in a free, secret ballot referendum convoked for this purpose. It is under these principles that the current reform process taking place in the country is being conducted, in accordance with Article 137 of the current Constitution, which indicates that the National Assembly of People’s Power is the only body with the authority to reform the Constitution, partially or entirely, as the supreme body of state power, composed of deputies elected by the people in a secret ballot vote, under the principle that the country’s sovereignty rests in the people, from which all state authority derives, exercised directly or through People’s Power Assemblies and affiliated bodies. In this case, the Constitutional reform will be a total one, given the magnitude and scope of the changes to the text expected. These are based on the Guidelines and agreements from the Sixth and Seventh Party Congresses, which were submitted to a broad popular discussion, including the entire people regardless of Party affiliation, and subsequently approved by the National Assembly, and necessarily require an adequate reflection in the nation’s legal order. Another aspect which must be noted is that the proposal being drafted will reaffirm the nation’s socialist character and the leading role of the Communist Party of Cuba. It must be recalled that a plebiscite was held June 10-17 of 2002, during which more than nine million citizens indicated with their signatures their support for a modification of the Constitution by the National Assembly, leading to its approval of Agreement No.V-74, the Constitutional Reform Law of July 26, 2002, which expressly establishes the socialist nature of Cuba’s political, social, and economic system, and prohibits negotiating with a foreign power under the threat of aggression or coercion of any kind. The law establishes that any future constitutional text must abide by these principles, in accordance with the express will of the people. On July 21, the National Assembly of People’s Power, as the only body with constituent and legislative authority, will discuss and approve the first draft of a proposed new Constitution of the Republic, submitted by the commission charged with this task, and establish procedures to begin a popular discussion of the text, in which the people will have the opportunity to see the proposed Constitution, make suggestions, propose modifications, and request clarifications. All conditions have been created to collect these proposals, which will be carefully evaluated by the commission. Based on this input, this body will draft the final proposal, to be approved by the National Assembly in a roll call vote – that is each deputy will express his or her position out loud. Subsequently, the approved constitutional text will be submitted for citizens’ approval in a referendum convoked for this purpose. Given Cubans’ commitment to our historical legacy, with so many years of struggle to preserve our independence and sovereignty, our loyalty to the homeland’s heroes and martyrs, our duty to present and future generations, and recalling Martí’s convictions, we are more aware than ever, as he taught us, that the sun has spots, but that the grateful see its light, and in this battle we will be united like a vein of silver in the Andes, and will fulfill our civic duty to reaffirm a revolutionary, socialist homeland, with all and for the good of all. What’s really happening in Nicaragua?